You can use Business Intelligence only in a specifically configured web application. See “Setting Up the Web Application” in Implementing InterSystems Business Intelligence. Also, be sure to consult the online InterSystems Supported Platforms document for this release for information on system requirements. For information on the PMML Model Tester, see Using PMML Models in InterSystems IRIS™. Architect  Enables you to define cubes. Analyzer  Enables you to define pivot tables. 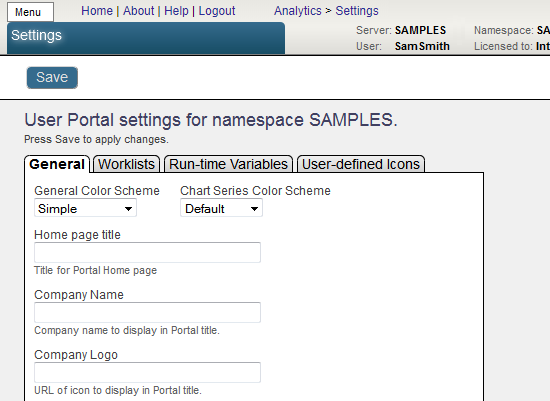 User Portal  Launches the User Portal, which includes the Analyzer and the Dashboard Designer. 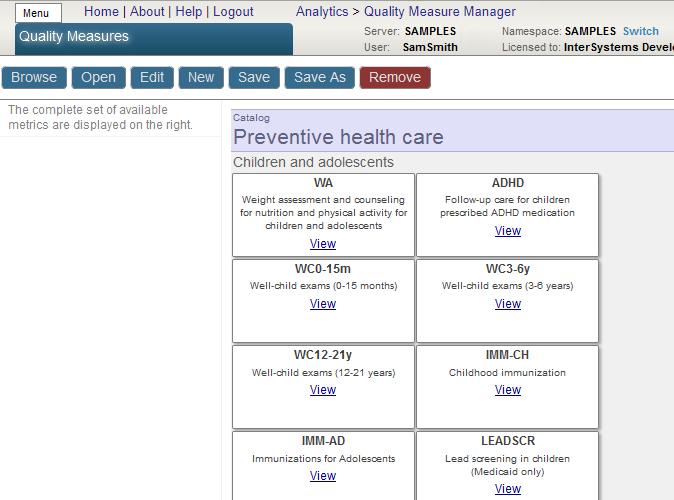 Tools  Provides access to the MDX Query Tool, the Term List Manager, Quality Measures, and the Model Browser. Admin  Provides access to the Business Intelligence Logs, the Folder Manager, Settings, and the Cube Manager. 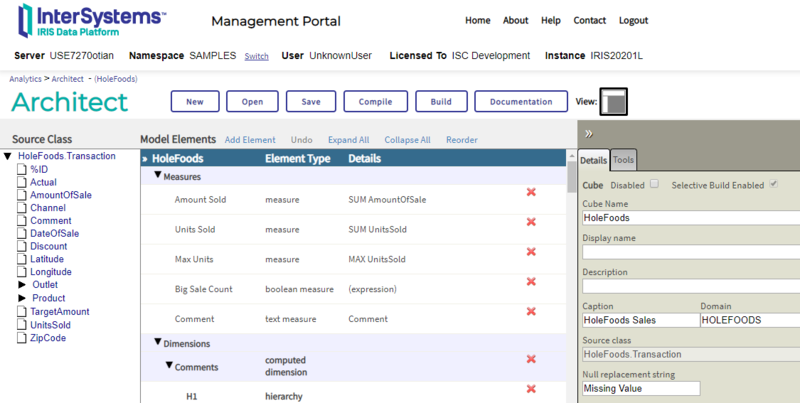 The Management Portal provides access to all Business Intelligence tools, including the back-end tools such as the Architect as well as the User Portal. Because the User Portal is intended for end users, it does not enable most users to return to the Management Portal. The Architect enables you to define cubes and subject areas. You can use this tool, Studio, or both together. For details, see Defining Models for InterSystems Business Intelligence. For information on the permissions needed to use this tool, see “Setting Up Security” in Implementing InterSystems Business Intelligence. 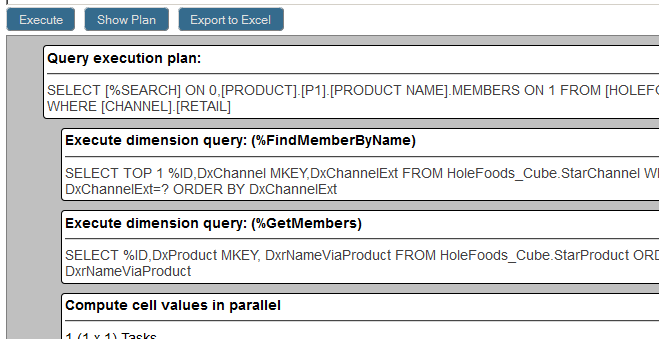 The Analyzer enables you to define pivot tables. The Analyzer looks like the following. For information, see Using the Analyzer. The User Portal is intended for direct use by end users (in contrast to such back end tools as Studio and the Management Portal). 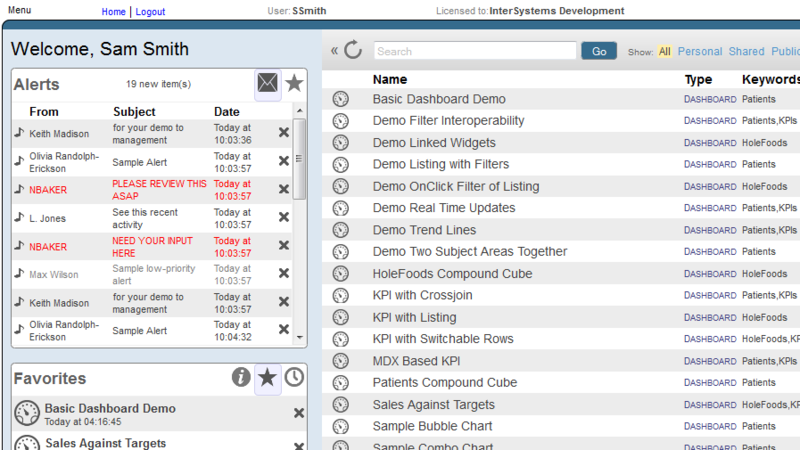 The User Portal includes the Analyzer and the Dashboard Designer. For information, see the Using Dashboards and the User Portal. To execute an MDX query, type the query into the text box and then select Execute. You can also drag and drop items from the left area into the MDX statement area; if you do, the dropped items are added to the end of the query. The bottom area on the right then displays the results. For an introduction to MDX, see Using InterSystems MDX. For reference information on MDX, see the InterSystems MDX Reference. 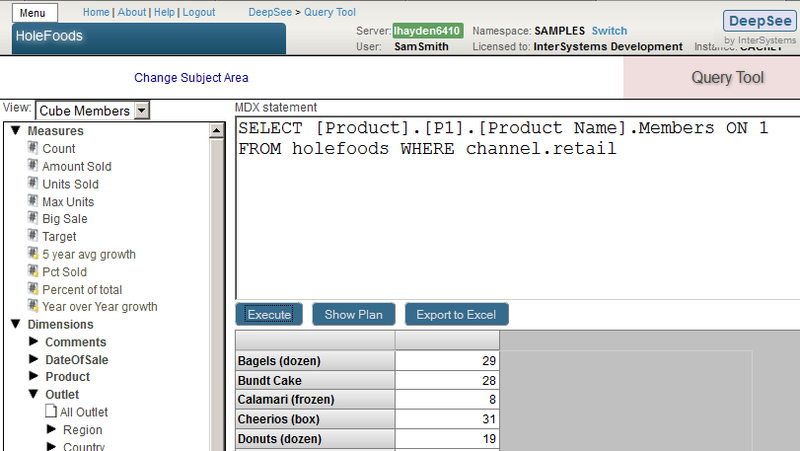 For information on creating term lists, see the Advanced Modeling for InterSystems Business Intelligence. 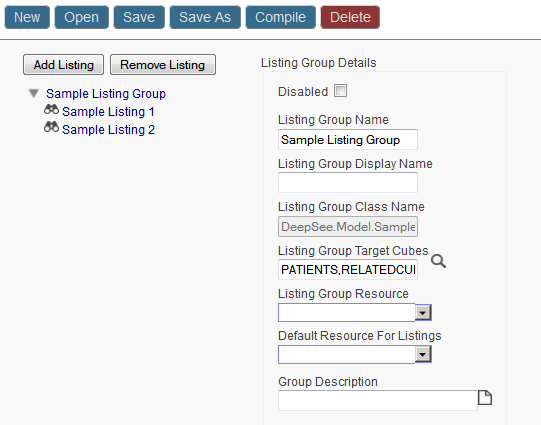 For information, see “Defining Listing Groups” in Defining Models for InterSystems Business Intelligence. For information, see Defining Models for InterSystems Business Intelligence. For information on the permissions needed to access this page, see “Setting Up Security” in Implementing InterSystems Business Intelligence. You can use this to export pivot tables and dashboards so that you can package their definitions into a class definition. See the Implementing InterSystems Business Intelligence. 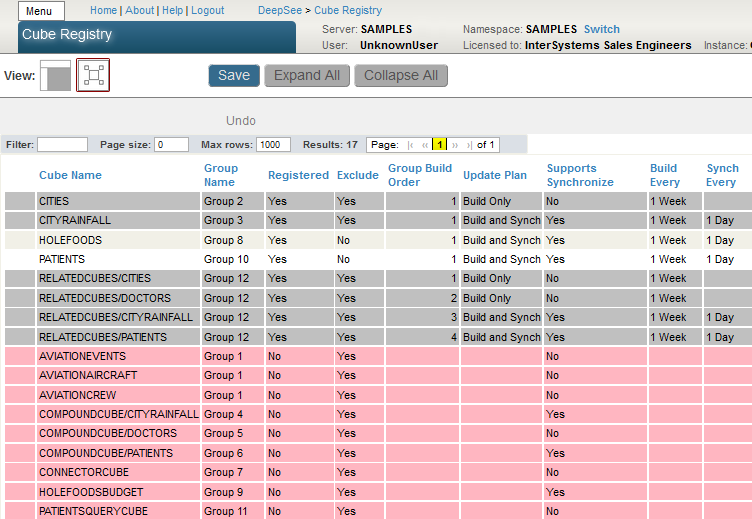 For information, see the Implementing InterSystems Business Intelligence. For details, see “Keeping the Cubes Current” in Implementing InterSystems Business Intelligence.